Having secured their places at the ICC Women's World T20, Ireland and Bangladesh are now hoping to cap their campaign with silverware. Both sides come into this match with perfect records and neither has been seriously tested so far in the competition. A more even contest is expected at Kampong Cricket Club in Utrecht on Saturday, particularly given the nip-and-tuck nature of the series between the two teams only a fortnight ago. On that occasion Bangladesh prevailed, taking the series 2-1, but all three matches went down to the final over, and two of those were decided on the final delivery. Ireland eased through Group B, defeating Thailand, Scotland and Uganda. The victory over a strong Scottish outfit was particularly impressive, as Laura Delany's side restricted their opponents to 98/2 from their 20 overs and knocked off their target with 4.2 overs to spare. They were also reasonably comfortable in their semi-final clash against Papua New Guinea, making 113/6 before dismissing the opposition for 86. The manner of Bangladesh's victories has been even more comprehensive. In Group A, the Women's Asia T20 Cup champions defeated Papua New Guinea by eight wickets, the Netherlands by seven wickets and UAE by eight wickets, never conceding more than 84 or needing to bat beyond the 15th over. Scotland were also no match for them in the semi-finals, as the Bangladeshi's posted 125/6 in a 49-run win to confirm their spot at the main event in the Caribbean this November. With two unblemished records, something has to give. A mouthwatering match-up is in store. 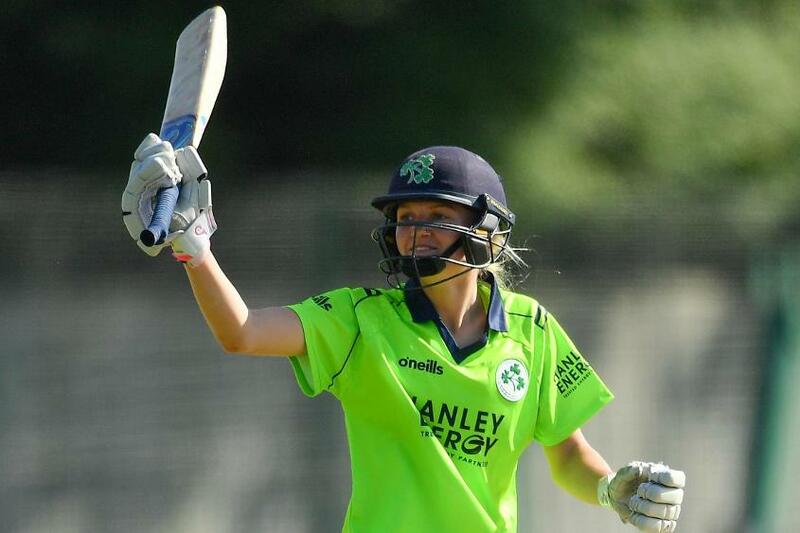 Gaby Lewis (Ireland): A star has been found in the form of the 17-year-old opening batter. Lewis came into the tournament in good form after notching half-centuries in the home series against Bangladesh and the warm-up fixture against PNG and she has looked fluent in this competition without posting a headline-grabbing score – in part because Ireland's bowlers have been so dominant. Nonetheless, the right-hander averages an impressive 34.50 for the tournament and hit a crucial 36 from 33 deliveries in the semi-final victory over PNG. She'll be hoping to sign off in the Netherlands with a big one. Rumana Ahmed (Bangladesh): The leg-spinner's statistics in this competition are phenomenal. In four matches Rumana has taken eight wickets at an average of 3.5 with an economy of 2.5. In short, she has been near-enough unplayable. In tandem with fellow leggie Fahima Khatun, who has taken nine wickets, Ireland have a sizeable task on their hands to counter their threat.